During ancient times, salt was equivalent in its weight in gold. The Romans paid their legions in the form of salt, that is why we have the word “salary” today. Salt was not just a flavor enhancer, it was a means of preserving meat and fish before the age of refrigeration. It was also used to clean food since bacteria and viruses cannot live in a salt environment. The means to get salt then was to mine it from underground. That was why the term “back to the salt mines” became synonymous with hard work. Now salt is not only mined, it is harvested in salt beds wherever there are geographical conditions that allow for it. Salt harvested from the sea also contains iodine that is not present in salt that is mined. Iodine is a much needed nutrient for the human body. 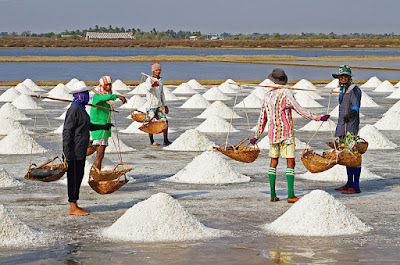 The Philippines, being an archipelago is abundant with the geographical means to harvest salt. In this endeavor, Rep. Josephine Sato asked the Department of Science and Technology (DOST) to create research and development programs that will increase the income and productivity of salt farmers. “It is time we put more science to salt production. We are rich in saltwater, but we need to get a clear and more accurate picture of how the government can help boost the industry. This is where research and development should come in,” said Rep. Sato who hails from Occidental Mindoro. Occidental Mindoro accounts for 40% of the Philippines’ salt production. The DOST is active in assisting her province’s salt farmers but she also sought that salt production be increased in all other regions in the country. This can be done systematic assessment of the salt industry, identification of the proper technology and much needed technology transfer. 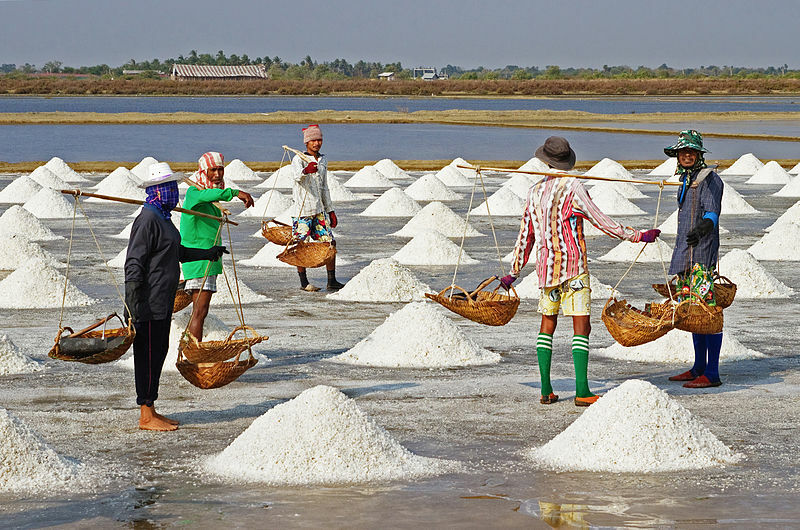 The DOST can assist in modernizing salt production with regards to new technology in crystallizing salt that will increase salt production and income by salt farmers. Budget allocation can also be streamlined and enhanced so as to optimize productivity as well as legislation to promote and protect the industry. “Being an island archipelago surrounded with abundant saltwater, our country has the potential of developing a dollar-earning industry through science and technology,” Rep. Sato said. The government can be instrumental in offering production incentives and help the industry in marketing and distribution.